RAYNA - see if you can pick some bits out of this to chop together? Hossam performing live at a world renowned festival. Hossam has dedicated his life to music, moving to the UK from Egypt in the seventies. Originally providing percussion for jazz greats like Andy Sheppard and Geoff Williams, a notable point of his career was his work with Jimmy Page and Robert Plant on the 1994 Led Zeppelin reunion album 'No Quarter - Unledded). Hossam was an integral part of the writing and performing on this album, which has since been certified gold and platinum. Hossam was also invited to tour with Page & Plant in the years that followed. 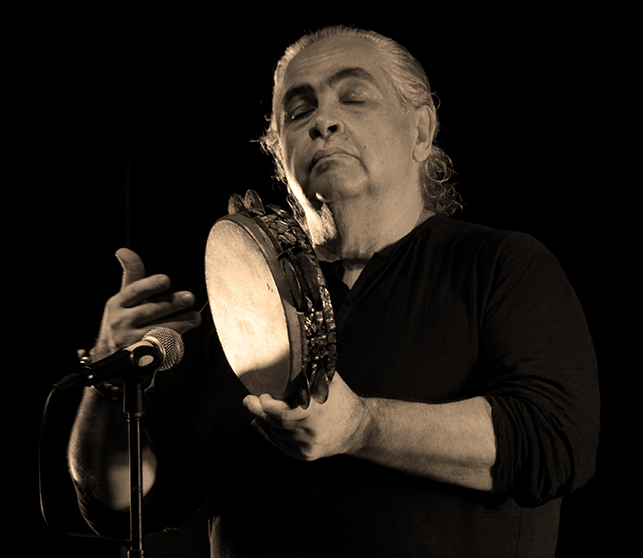 Since then Hossam has played on hundreds of albums for major label stars, as well as releasing well over 30 of his own Egyptian bellydance albums. Hossam's total credits are too long to list on this page, but rest assured this is a rare and exciting chance to work with a master percussionist. If you are an unsigned artist looking to bring your tracks to life, the value Hossam can bring to your track is priceless. Get in touch with him direct below and he will get straight back to you. Hire Hossam as your online percussionist - all live percussion tracks will be recorded remotely for you and your files delivered via email in just a few days. No need for expensive studio fees! Please note that prices vary depending on each project - length of track, how many percussion tracks/takes you want, instruments required etc. It's difficult to give a 'one price fits all' option when creating music, so please contact Hossam below for an accurate quote. To message Hossam directly about your project, simply click 'Make Enquiry' below and he will reply ASAP with an accurate quote. Please provide a link to any reference files to help us give you an accurate quote. These could include rough demos you have, tracks you want to sound like, lyrics files, etc. GOOGLE DRIVE & DROPBOX SHARE LINKS WORK BEST! Thank you! Hossam will get back to you ASAP.